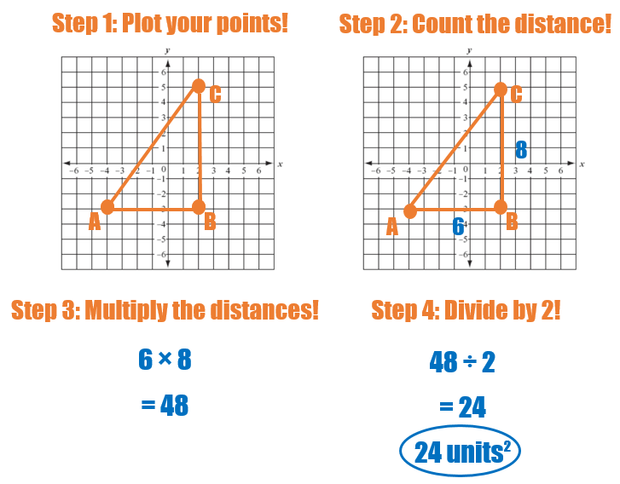 *Remember that perimeter is the distance AROUND a shape! Count the distance of the two legs. 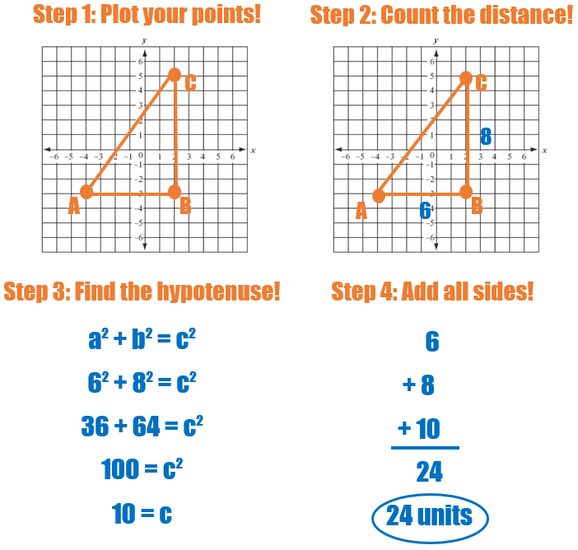 Use the Pythagorean Theorem to find the hypotenuse. NOW LET'S TAKE A LOOK AT AREA! *Remember that area is the amount of space INSIDE a shape! *Remember that units will always be squared! Click here to check your answer for PERIMETER! Click here to check your answer for AREA!